Activyl Tick Plus is used to treat and prevent flea infestations in extra large dogs and to treat flea-allergy dermatitis (an allergic reaction to flea bites). 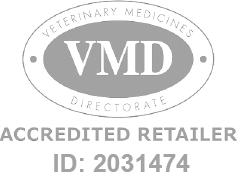 Activyl Tick Plus Extra Large Dog is a Prescription Only Veterinary Medicine and by law requires a prescription from your vet. Activyl Tick Plus Spot-On for Extra Large Dogs is an effective treatment for controlling and preventing flea and tick infestations in dogs.